by email. To further extend your coverage, purchase a CompleteCare or CompleteCarePlus protection plan. platform with extensive customer support. Repairs, alignments and adjustments of covered products that malfunction while being used within the operational and environmental parameters specified by TSL. This cloud-based technology management platform and mobile app allows you to start repairs with a few clicks or a scan, and keeps track of your devices and failure data. Call our US-based technical support team for expeditious issue resolution. We use our extensive product knowledge to walk you through troubleshooting techniques. CompleteCarePlus is all about tailoring support to your operation. It takes hardware support one step further with instant replacement strategies. Complete Care Plus uses a combination of strategies based on your operational needs to ensure that when you are having rouble with a device, you get a new device right away. Additionally, we break it down with failure reports to help you pinpoint potential causes in your operation. All TSL products come with a standard 12 months Return to Base manufacturer’s warranty. To enhance and extend your warranty, consider purchasing a CompleteCare maintenance program. Choosing between CompleteCare and CompleteCare+ plan should be a decision based on how quickly you need your product repaired or replaced. Reduce downtime and maximise productivity and efficiency by investing in a TSL CompleteCare maintenance program, giving you complete peace of mind. 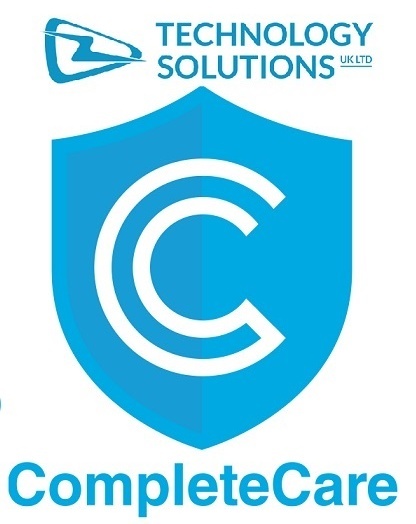 With a CompleteCare maintenance program there are no unexpected repair costs and you will also benefit from significantly reduced turnaround time for your repairs, ensuring you protect the continuity of your business and maximise performance output.